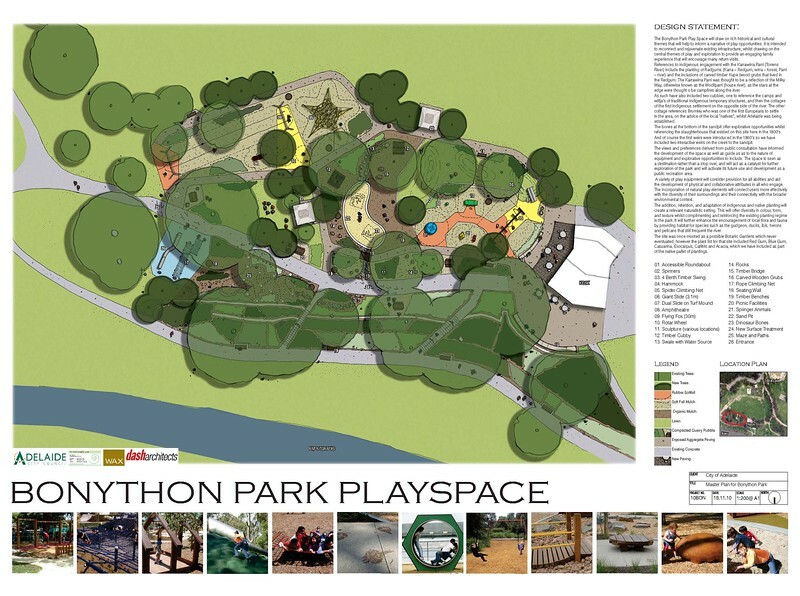 The Bonython Park Play Space will draw on rich historical and cultural themes that will help to inform a narrative of play opportunities. It is intended to reconnect and rejuvenate existing infrastructure, whilst drawing on the central themes of play and exploration to provide an engaging family experience that will encourage many return visits. References to indigenous engagement with the Karrawirra Parri (Torrens River) include the planting of Redgums (Karra – Redgum, wirra – forest, Parri – river) and the inclusions of carved timber Kupe (wood grubs that lived in the Redgum. The Karrawirra Parri was thought to be a reflection of the Milky Way, otherwise known as the Wodliparri (house river), as the stars at the edge were thought o be campfires along the river. 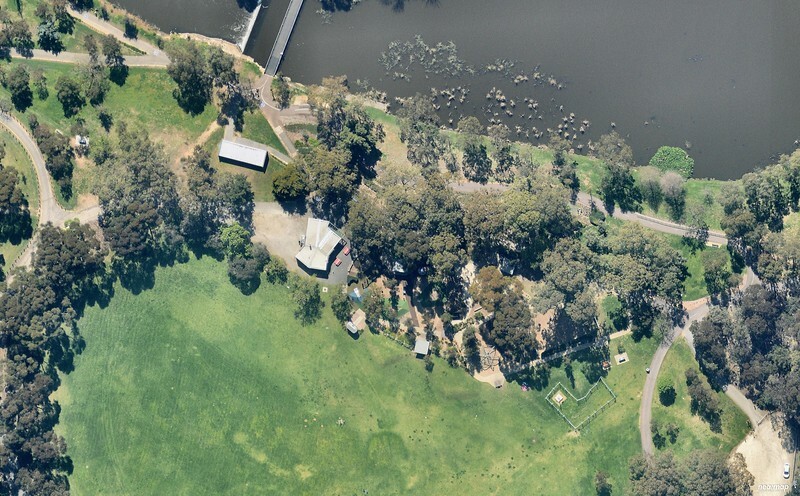 As such have also included two cubbies, one to reference the camps and wiltja’s of traditional indigenous temporary structures, and then the cottages of the first indigenous settlement on the opposite side of the river. The other cottage references Bromley who was one of the first Europeans to settle in the area, on the advice of the local “natives”, whilst Adelaide was being established. The bones at the bottom of the sandpit offer explorative opportunities whilst referencing the slaughterhouse that existed on this site here in the 1800’s. And of course the first weirs were introduced in the 1860’s so we have included two interactive weirs on the creek to the sandpit. The views and preferences derived from public consultation have informed the development of the space as well as guide us as to the nature of equipment and explorative opportunities to include. The space is seen as a destination rather than a stop over, and will act as a catalyst for further exploration of the park and will activate its future use and development as a public recreation area. A variety of play equipment will consider provision for all abilities and aid the development of physical and collaborative attributes in all who engage. The incorporation of natural play elements will connect users more effectively with the diversity of their surroundings and their connectivity with the broader environmental context. The addition, retention, and adaptation of indigenous and native planting will create a relevant naturalistic setting. This will offer diversity in colour, form, and texture whilst complimenting and reinforcing the existing planting regime in the park. It will further enhance the encouragement of local flora and fauna by providing habitat for species such as the gudgeon, ducks, ibis, herons and pelicans that still frequent the river.